I'm super excited to have my Sea Life collection featured on the Make it in Design blog!. So proud to have my Sea Life collection featured on the Print & Pattern blog written by Bowie Style, author of the inspiring Print & Pattern books. 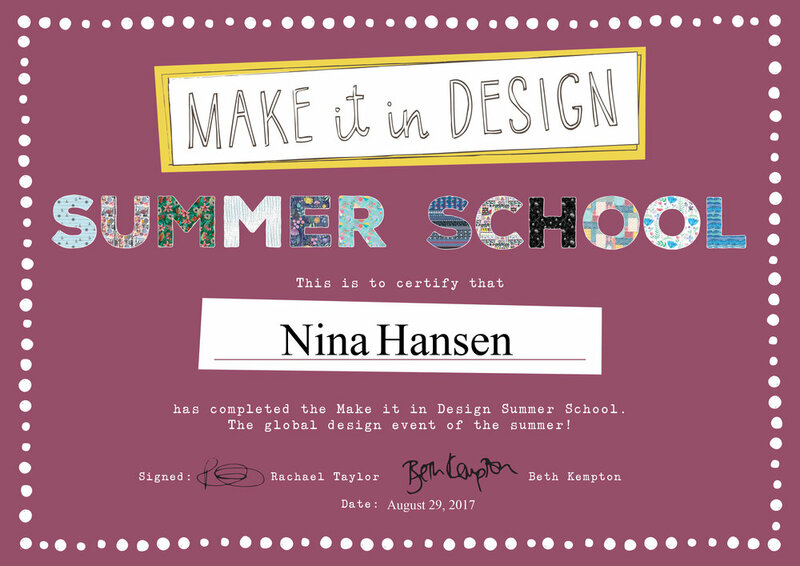 So proud and excited to announce that I completed the Make it in Design Summer School 2017. It has been such an amazing experience, and I learned so much. The MAKE it in DESIGN Winner of Fun Design Challenge 2 is Nina Hansen, Designer by Heart. I'm beyond happy and feel very honored to have been selected as the winner of the Advanced Fun Design Challenge 2 competition at MAKE it in DESIGN.